Thank you for visiting! We are a FULL Service Real Estate company offering superior service in Residential & Commercial Sales. Our website contains ALL listings from ALL Real Estate Agents in the MLS plus helpful information and resources that you are welcome to use with No Obligation. 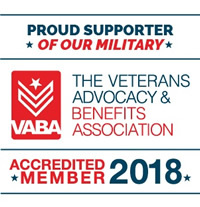 If you don't find the answers you're looking for on this site, please email, text or call us and we will be sure to get your questions answered quickly and accurately. We look forward to working with you. Not all Realtors are created (or trained) equally - Always Use a Reliable Realtor! Please feel free to explore the website and if you have any questions, would like to see a home in person, would like to discuss your home's current value or if you think you might be facing some kind of hardship or are just upside down on your mortgage and want to know all your options, please give us a call today. You may also use any of our FREE Resources on this site as often as you'd like! We NEVER share your information. New Draper Listing with 7 bedrooms, 5 bathrooms and 7338 square. "Steeple Chase Dream, Nestled on pristine cul-de-sac! Captivating curb appeal displays designer landscaping, cascading water feature, driveway pavers and walkways! Exceptional light-filled design and stylish, grand gathering spaces! Sensational kitchen features modern white cabinetry, custom counters and pendant lighting! Inviting great room with gorgeous built in cabinetry! Large master retreat radiates luxury; sitting area, double sided fireplace, city and sunset views, spa-inspired bath and deluxe walk-in closet with top of the line organizer components! Marvelous lower level offers full second kitchen, entertainment areas and game room! Impressive theater room with incredible surround sound system, luxury seating and 5 screens; perfect for sports viewing! Audio equipment negotiable. Walk out to covered patio and outdoor oasis! Spectacular, nearly half acre lot embraces peace and privacy; spacious trex deck and wrought iron fencing! Oversized four car attached garage with epoxy floors and endless storage! New, additional detached five car dream garage for all the toys and cars complete with a 1,000 square foot stylish, beautiful private guest apartment above. (This is included in second floor square footage of home). Indoors and out, this home offers the perfect backdrop for extraordinary living! Outstanding, award winning community has it all! Pool, covered pavilion, sport court, playground and private parks! OCCUPIED DO NOT SHOW WITHOUT APPOINTMENT. MUST PROVIDE 24 HR SHOWING NOTICE." New Draper Listing with 6 bedrooms, 5 bathrooms and 5842 square. "Premier home in the Steeplechase development with high end finishes-wall coverings, wood trims, shutters, draperies, built in bookcases, security, video and sound system. Separate mechanical systems, furnace and air conditioning. Wonderful HOA with amenities and low monthly cost. Large garage and amazing view. ***Master bedroom, with an amazing walk in closet. Fully landscaped with lights and speakers. Close to trails, shopping, restaurants and more." 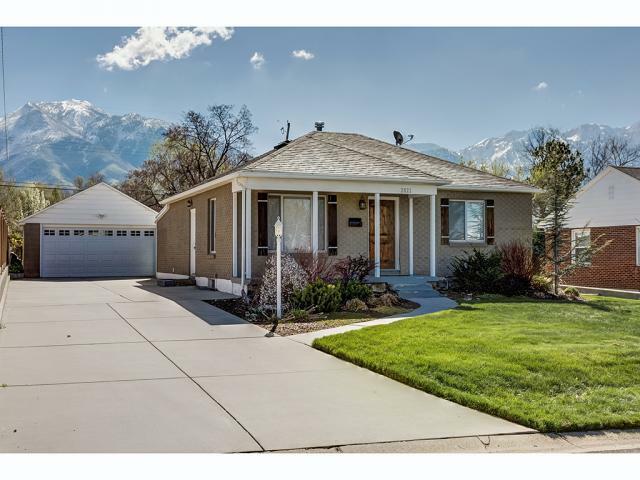 New Salt Lake City Listing with 4 bedrooms, 3 bathrooms and 3038 square. "Stunning architecture, brilliant design. Raising the level of a luxury home. It is a gracious and warm home filled with an abundant amount of light. Discerning buyers will appreciate the timeless design, attention to detail & craftsmanship that make this extraordinary home a true work of art akin to the best of the best properties. This is a once in a lifetime opportunity to own a slice of heaven! The oversized master suite is elegant and grandiose. With upper level living, designer walk-in closet, stackable washer and dryer. Total Privacy. Three additional guest suites offer privacy and convenience. Stylish entertainment areas include a wet bar with burl wood cabinets. The home includes a gourmet kitchen with custom cabinetry, Sub-Zero and Wolf appliances custom built. Natural grain walnut wood staircases and main living floors." 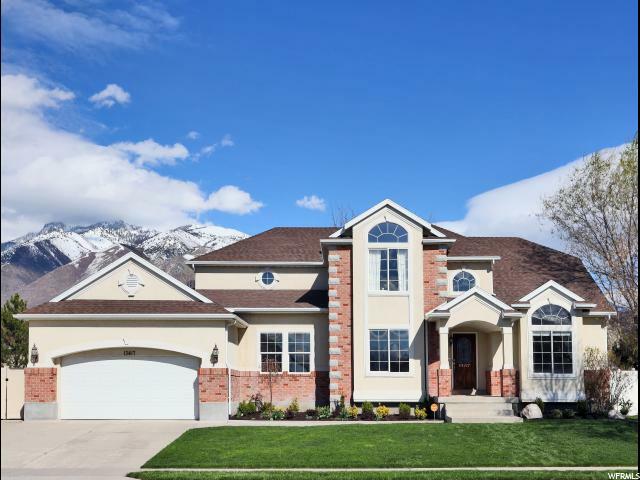 New Salt Lake City Listing with 4 bedrooms, 5 bathrooms and 6134 square. "Live at your own resort. This parklike setting in Olympus Cove is the home you've been waiting for. Located on coveted Mt Olympus Way, known for its oversized lots and beautiful views of My Olympus. This home is an entertainers dream with an updated kitchen/family room that opens to a large outdoor terrace. Other features include floor to ceiling windows, large master suit with new master bathroom including steam shower, a main floor study that could be 5th bedroom, a billiard room with wet bar, a spa room with hot tub, sauna and workout room. a potential theatre room, and a beautiful pool with poolside fireplace for cozy outdoor evenings. All this and more with spectacular views of Mt Olympus. 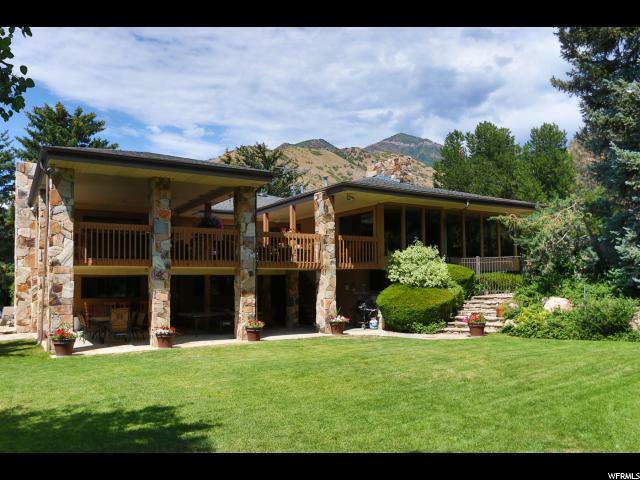 Truly a special home"
New Salt Lake City Listing with 5 bedrooms, 3 bathrooms and 4013 square. "Lovingly maintained brick Tudor in the high Aves - follow the stone path into this classic feel and style of an avenues dream home. Light and bright with updated kitchen and baths and...CLOSETS!! 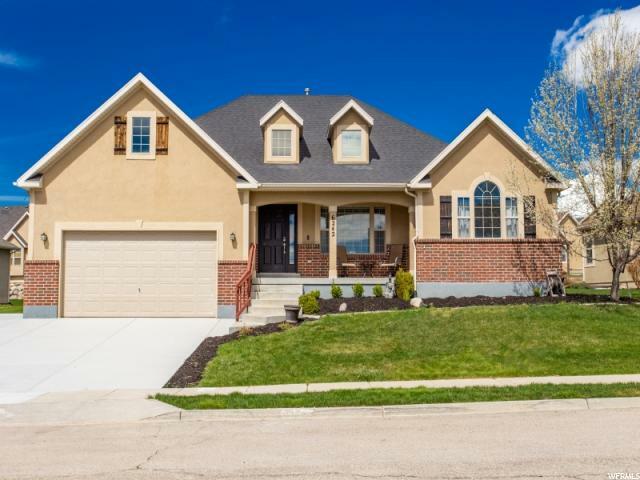 This 5 bedroom with 3 full baths (including steam shower in master) is complete with a master bedroom sanctuary and full master bath PLUS sitting area AND fireplace. Relax in your Secluded indoor hot tub with South Capital and north views. Meticulous, manicured gardens with perennial surprises abound and storybook Wisteria trellaces. Move right in and enjoy this beautiful home inside and out. Basement gives the opportunity for 2nd living quarters or extra space for your home. Be close to the mountains and downtown but enjoy this spacious neighborhood feel of upper B street. This home's presence speaks for itself from the exterior to the interior. " 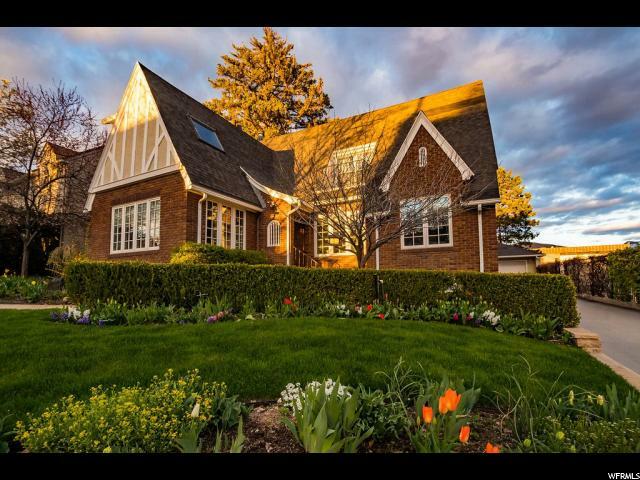 New Salt Lake City Listing with 4 bedrooms, 3 bathrooms and 3542 square. "LOCATION! SCHOOLS! CITY AND MT. OLYMPUS VIEWS! Nice Mt. Olympus home with fabulous valley views. Living room invites you to settle in to look at the beautiful view of Salt Lake City. Newer kitchen has all of the conveniences with granite countertops, tile floors, quality custom cabinets - and a cozy family room with lots of glass that walks out into a gorgeous backyard and the shadow of Mt. Olympus. Three bedrooms, including a master suite, complete the main floor. The downstairs family room has lots of nature light and a new built-in bar area with microwave and sink. The backyard has an elevated deck with a hot tub and AMAZING views of the city below. Viewcrest is a great neighborhood street with sidewalks and flat areas for walking. Close to shopping, great schools, hiking and ski resorts. Square footage figures are provided as a courtesy estimate only. Buyer is advised to obtain an independent measurement." New Draper Listing with 5 bedrooms, 4 bathrooms and 4716 square. 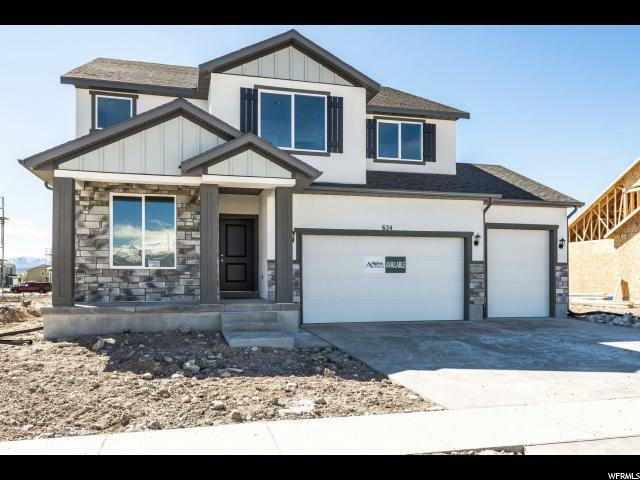 "This exceptional Lone Peak Meadows Two-Story grants you access into one of Draper's most prestigious neighborhoods. 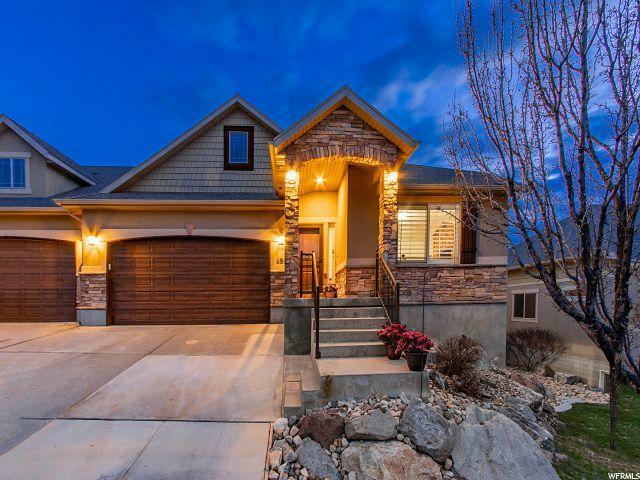 Walking distance to top rated Willow Springs Elementary and Corner Canyon High School, as well as all manner of parks, including softball/baseball, skate, tennis and even one for your dog! Flat terrain allows easy biking and walking that puts you minutes from some of the best hiking, and biking trails in Utah. Floor plan features include a main floor master suite, high volume great room ceilings, spacious kitchen, large walk in pantry, and a separate entrance basement. NO SHOWINGS before Saturday 1-4 Open House per Seller's request." New Salt Lake City Listing with 3 bedrooms, 3 bathrooms and 3006 square. "Twin home with no HOA dues. Features single family living with a private fenced in backyard. Perfect for a traveling lifestyle. With 3 bedrooms, 3 bathrooms, plus a separate office, there is no limits when it comes to hosting guests with a full open concept style living. Includes a 2 car garage and lots of storage. Next to Emigration Canyon and easy access to hiking, biking, and large family park. " New Highland Listing with 6 bedrooms, 3 bathrooms and 5037 square. "Spacious entertainers' delight in Highland Hills! Beautiful rambler featuring 4 bedrooms, including the owner's suite on the main floor! Additional main floor features: formal living room, formal dining room, kitchen with breakfast nook, large family room, laundry room, and an abundance of closets and storage. The large, newly finished and extremely spacious theater/family room downstairs is amazing! In addition to the den and second large family room, there are 2 more bedrooms downstairs making this a 6 bedroom home. This is a must-see! Square footage figures are provided as a courtesy estimate only and were obtained from County Records. Buyer is advised to obtain an independent measurement. " 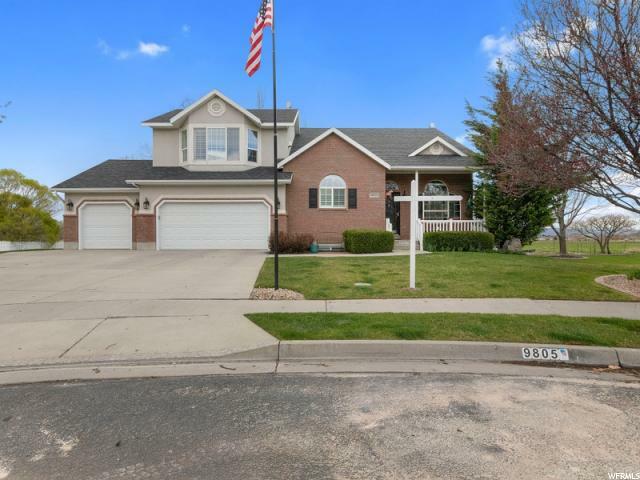 New Salt Lake City Listing with 4 bedrooms, 3 bathrooms and 1396 square. "Single-family home in great neighborhood. Secluded back yard. Unfinished room above garage. Basement separate entrance. Buyer/Buyer's Agent to verify all information. " New Highland Listing with 6 bedrooms, 3 bathrooms and 3290 square. ".44 acre home with gorgeous mountain views/sunsets and no backyard neighbors. Spacious 6 bedroom, 2 family rooms with separate master retreat area. Home has been completely updated with carpet, paint, fixtures, new roof, windows etc. Includes central vac system, HEPA 13 Air purifier. Move in ready!" 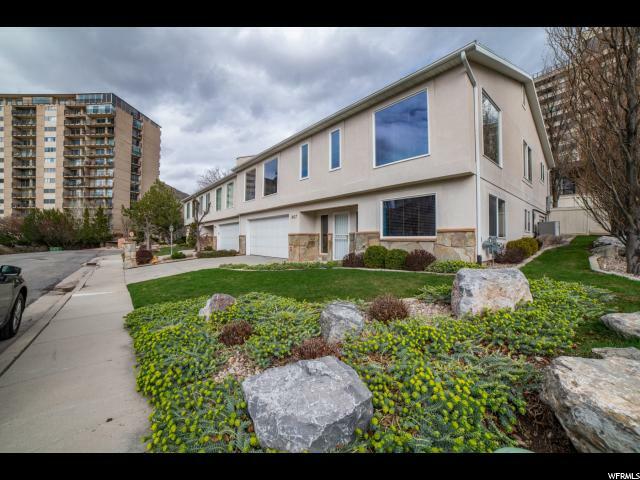 New Salt Lake City Listing with 4 bedrooms, 3 bathrooms and 2451 square. "LOCATION, LOCATION, LOCATION! 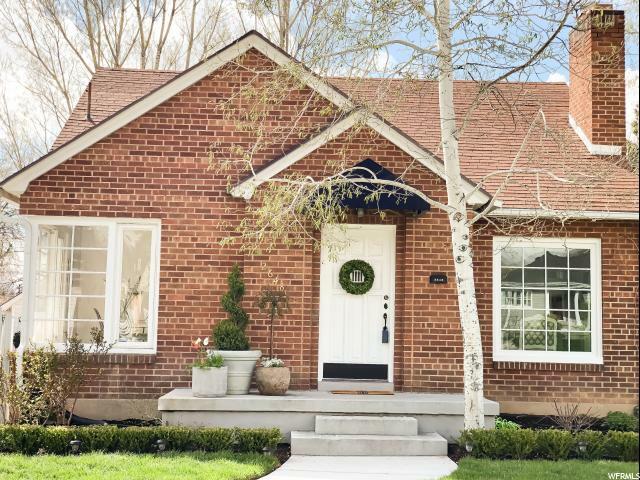 Beautiful brick rambler located in desirable East Millcreek area near Tanner and Sugarhouse Park with easy freeway access to both I-80 and I-215. Complete remodel in 2014. Updated kitchen with SS appliances, gas range, quartz countertops & tile backsplash. Master bedroom w/ ensuite bath. Home office with stylish barn doors. Home features 4 bedrooms, 3 full baths, 2 family rooms and fully finished basement. Large detached 2 car garage. Big fenced yard with private deck and shed. Come BUY today!" 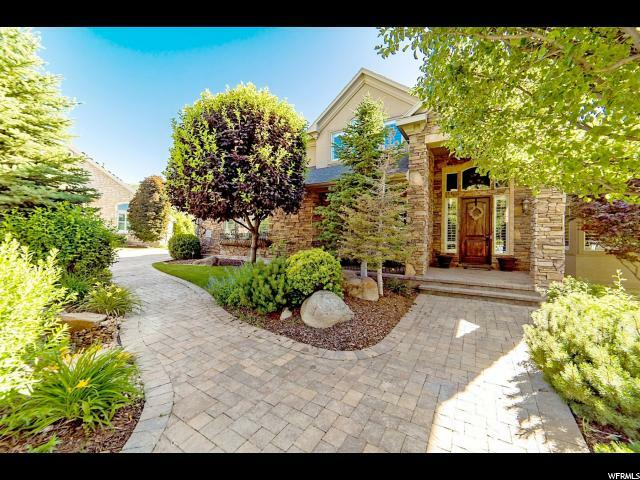 New Salt Lake City Listing with 9 bedrooms, 5 bathrooms and 4036 square. " Quiet Millcreek area neighborhood! New carpet and paint. Second story addition finished in 2017 and has a lovely master suite. Nine total bedrooms means there is room for everyone! Mature fruit trees and blackberries. Stove and dishwasher are new. Two AC/furnace systems and two hot water heaters. Downstairs has 500 sq feet of cold storage! Downstairs freezer and fridge stay. Home warranty offered. Call or text for a private showing." 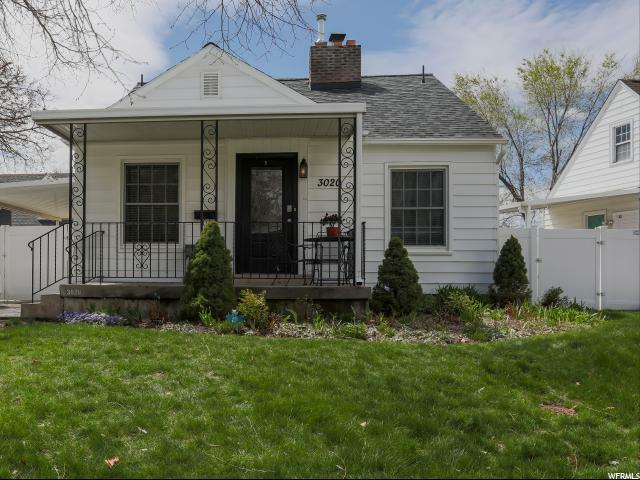 New Salt Lake City Listing with 4 bedrooms, 2 bathrooms and 1779 square. "INCREDIBLE location! This charming home sits on a beautiful street lined with mature trees. 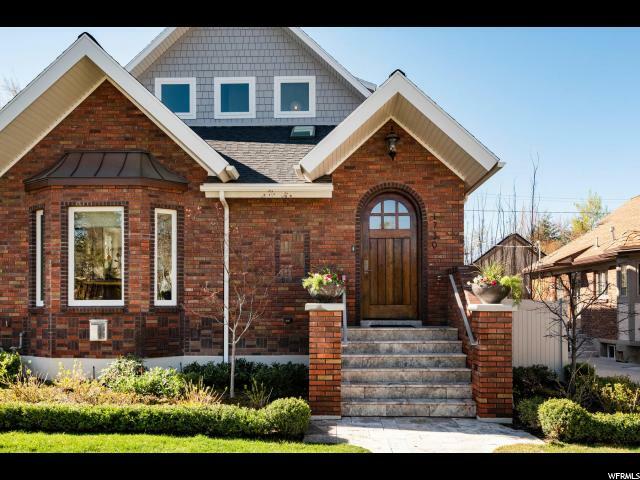 Brick cottage in one of the most sought after neighborhoods in Salt Lake. Highland park is a safe clean neighborhood that is community friendly and has much to offer. This house is within walking distance to three local parks, Salt Lake Tennis and Health Club, Sugarhouse farmer's Market in the late summer with food trucks, the delicious Stratford Proper restaurant, and walking home with your pumpkins and Christmas tree from Cactus and Tropicals is magical. Enjoy Sugarhouse fireworks on the front lawn every 4th of July while also participating, or viewing the neighborhood parade that goes along the top of the street every year. Near the University of Utah, Westminster College. This home is updated with a white kitchen and highest quality of quartz counter tops. New deluxe appliances. Hardwood floors throughout upstairs, large backyard, large windows with lots of light. This home offers a large dining room that can comfortably seat 8, great for entertaining! Fully landscaped in front and back. - - - Please Remove Shoes Upon Entering. " 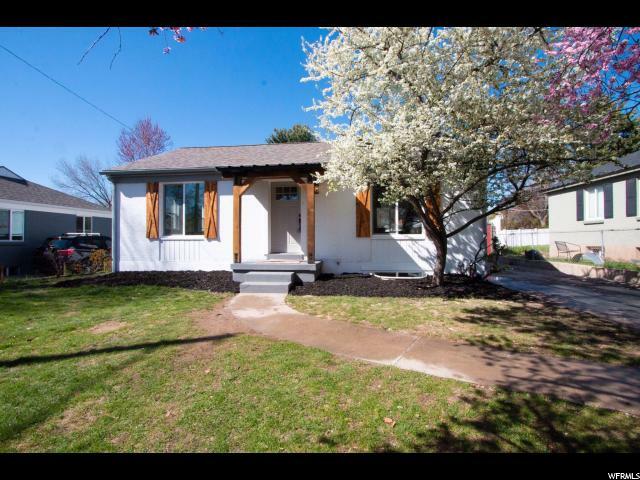 New Salt Lake City Listing with 3 bedrooms, 2 bathrooms and 1650 square. "This home has the quaintness and privacy of a home in a secluded area but is located a block away from Highland Drive placing you in one of the best locations throughout the state when it comes to restaurants, shopping, freeway access, and proximity to the city. Beautiful and low maintenance landscaping designed by the home's former horticulturist owner. Could easily become a 4 bedroom home with the addition of one wall in the basement. These owners have taken impeccable care of the property. Walk in closets, a full finished basement, new windows, and ample lighting are a rarity for homes of this era! " New Salt Lake City Listing with 3 bedrooms, 3 bathrooms and 1632 square. "Vacant: Go & Show! This is a incredible remodel that will want you to see more. The style is like you would see on Fixer Upper. Joanna Gaines style! The mature trees that line the street make you feel secluded and private. The master bedroom sweet with large walk in closet on the main floor is a must see! This one will not last long. It's a perfect fit for a small family with 3 bedrooms and 3 bathrooms!" New Highland Listing with 5 bedrooms, 4 bathrooms and 2992 square. "Come enjoy a beautiful open kitchen connected to a nice great room complete with an eye catching brick wall and cozy gas fireplace. The main floor is a perfect gathering space with walkout sliding doors to the large backyard patio that is shaded in the summer evenings. Located next to city open space, the yard feels spacious and across the street you will find walking trails and the best sledding hill! A community playground is just steps away along with top rated schools. The newer water heater, fully finished basement and two laundry rooms are an excellent addition to this fantastic Highland Hills home. *Square footage taken from county records, buyer and buyer agent to verify. " 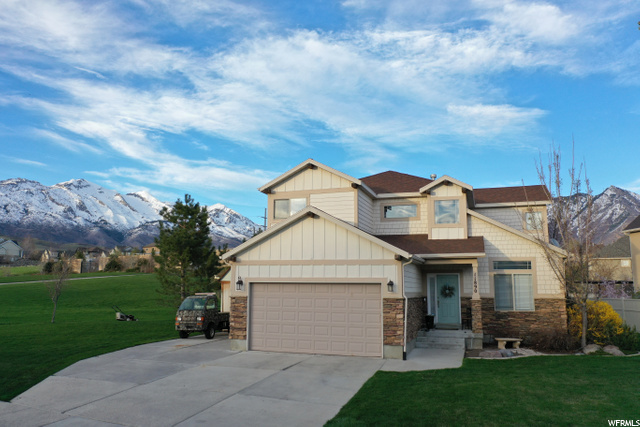 New Lehi Listing with 4 bedrooms, 3 bathrooms and 3632 square. "Open House this Saturday April 20th from 11:am-2pm - READY for IMMEDIATE MOVE-IN. The Redwood is our Most Popular 2-story loaded with upgrades including Grand kitchen Double ovens, stainless steel appliances, 42 upper white cabinets, quartz counter tops, 3-car garage 9' ceilings & 2x6 exterior walls. Model Hours Mon-Fri noon-6pm Sat 11-5pm Closed Sunday - DG Lot #73"
New Draper Listing with 4 bedrooms, 2 bathrooms and 2950 square. "This Quiet Home is Nestled in the Back Corner of Little Valley a Private Gated Community. It has an Open Floor Plan, with Main Floor Master, Office, High Ceilings, and is Light, Bright & Open! Off of the Kitchen you will find an Extra Large Deck that is Surrounded by Trees for Privacy. 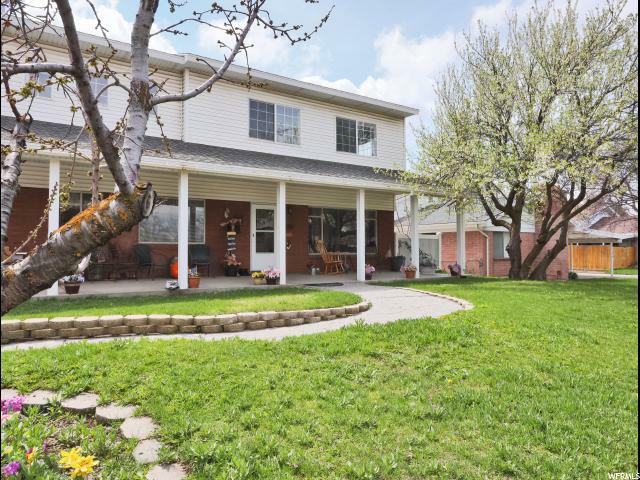 The Walk-Out Basement features 10' Ceilings w/ a Large Family Room and 3 Bedrooms. This is an Amazing Home In a Great Location. It is a Must See!" New Lehi Listing with 3 bedrooms, 2 bathrooms and 4109 square. "Open House THIS Saturday April 20th 11am-2pm. Come see this Gorgeous Open Floor plan Rambler with vaulted ceilings & large windows that give unobstructed views of the park & a lot of natural light. On the main floor, you have 3 bed, 2 bath+office/formal living room. Loaded with upgrades: Vaulted Ceilings, Corner Fireplace, a Beautiful kitchen w/ stainless appliances, 42 upper white cabinets, granite counter tops. 3-car garage, & 2x6 exterior walls. READY for IMMEDIATE MOVE-IN. Model Hours Mon-Fri noon-6pm Sat 11-5pm Closed Sunday - DG Lot #81"